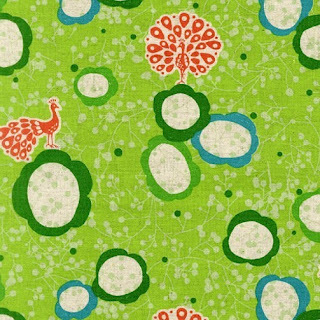 A couple of weeks ago I came across this cool peacock fabric at Mountain of the Dragon's shop on Etsy. 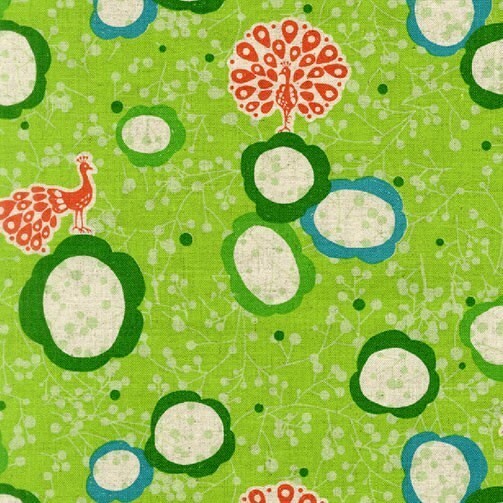 My dear friend who loves peacocks had a birthday coming up so I purchased a half yard of this gorgeous 55% linen and 45% cotton print. When it arrived it was even prettier than in the pic. The half yard was just enough to make a tote bag. I was so happy that she was thrilled with the bag! As this post is about friends, I want to mention another dear friend of mine, the very talented Damjana of Loddelina designs. 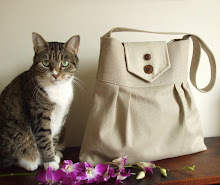 She creates very unique and beautiful bags and accessories adorned with amazing embroidery and more. 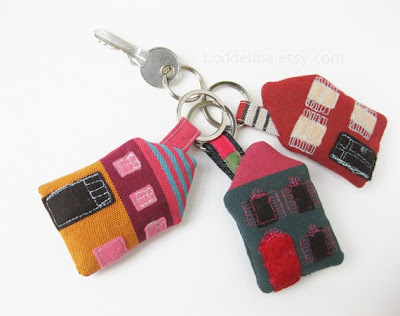 I am a proud owner of one of her super sweet keychains pictured below. She was kind enough to send me one as a gift/prize for completing our Holiday Boot Camp Challenge. I had my eye on it for a long time so you can imagine how pleasantly surprised I was when I opened my package and there it was! Shop Update: Lots of bags are in production in the studio. I'm still waiting for a shipment of heavy interface to arrive so I can complete them. I have to get better at monitoring my inventory. Wishing everyone a happy Friday and a wonderful weekend ahead! And the houses are sooo sweet, Nicole! 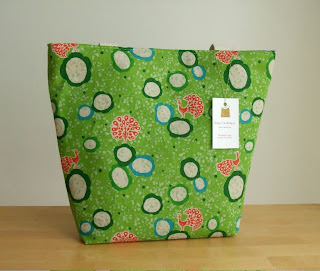 I am sure your friend was very happy to receive this pretty tote, I love the vibrant colour combination! I hope your supplies arrive soon, in the meantime enjoy your weekend and this well deserved sewing break! "heart made" presents are so special!Those little houses are just adorable and I imagine your friend would have been thrilled! You have been super busy and have some great new designs, well done Elisa! I just love the houses! So cute! 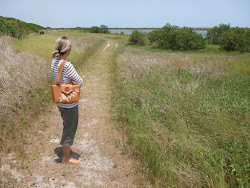 The fabric is gorgeous-you friend is fortunate to have you made this bag for her. Magellan is fascinated with the Easter Eggs.